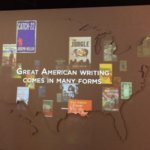 American Writers Museum is Stellar! 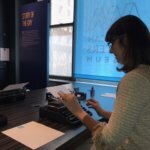 As a blogger for the new American Writers Museum, I was invited to a very special preview day. 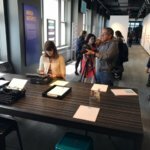 The museum is interactive and immersive. 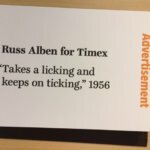 Visitors see what makes American literature different from all other world literatures, get to know authors, gain new perspectives on familiar authors and learn about writers of all genres from advertising copywriters like Russ Alben who wrote the famed Timex watch slogan, “It takes a licking and keeps on ticking,” to songwriters like Woody Guthrie. 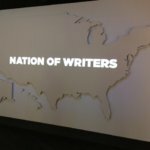 All forms of writing are honored. 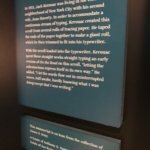 The Kerouac Scroll is a visiting exhibit and a fascinating must-see. 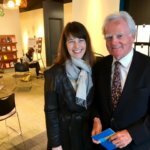 Malcolm O’Hagan is the passionate, driven founder of the AWM. 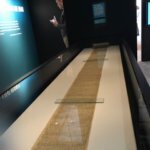 O’Hagan, born (the day before St. Patrick’s Day) and raised in Ireland, recognized that Ireland had a national museum dedicated to writers, but, alas, the United States did not. He set out to change that seven years ago, and today his vision has come to fruition. 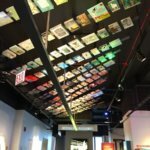 This summer, consider taking a trip to Chicago and visiting the American Writers Museum. 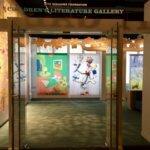 It’s a place for families, writers, readers, music lovers, advertising aficionados, and lovers of engaging, fun museums. The goal is to one day build a stand-alone museum. 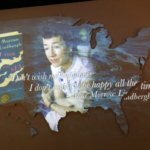 There’s a quote from Flannery O’Connor printed on a bookmark at the AWM. 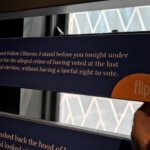 The American Writers Museum has found the perfect location—Chicago was chosen because it is the crossroad of our country. Time, place, and eternity have met there in a perfect salute to writers. 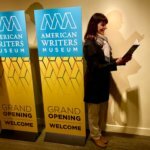 Author Angie Klink at Grand Opening of the American Writers Museum.